Overview: Blueprint for Literacy is a pre-kindergarten curriculum that we redesigned to better compete in the market place. 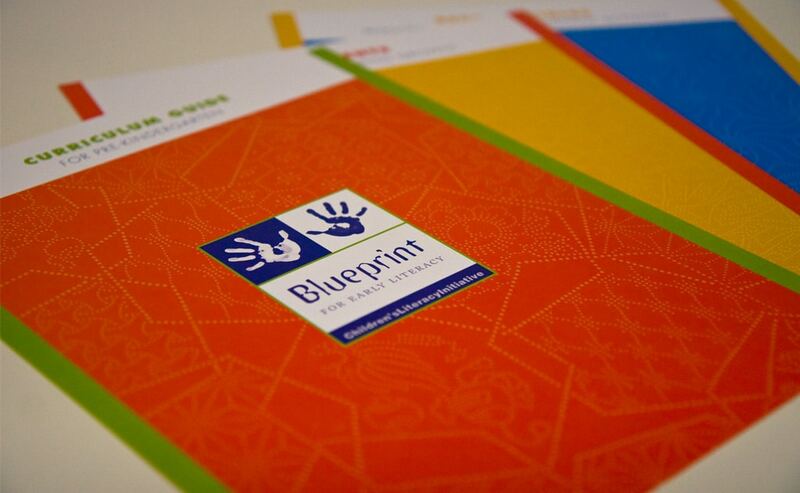 the Blueprint identity, packaging, guidance books, brochures and leaflets. For an overview visit the Stories section. 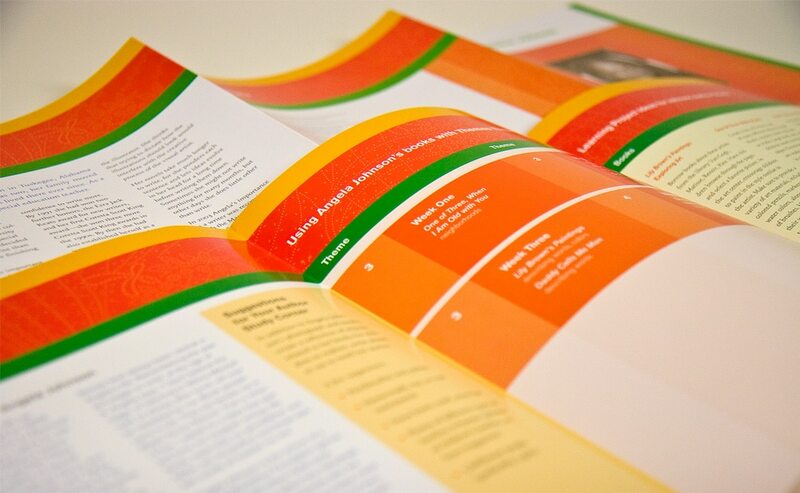 Brochures: We created a series of 10 brochures on different authors. Along with them on the inside of the box, is a poster of the author, story books, and 10 teaching guides. 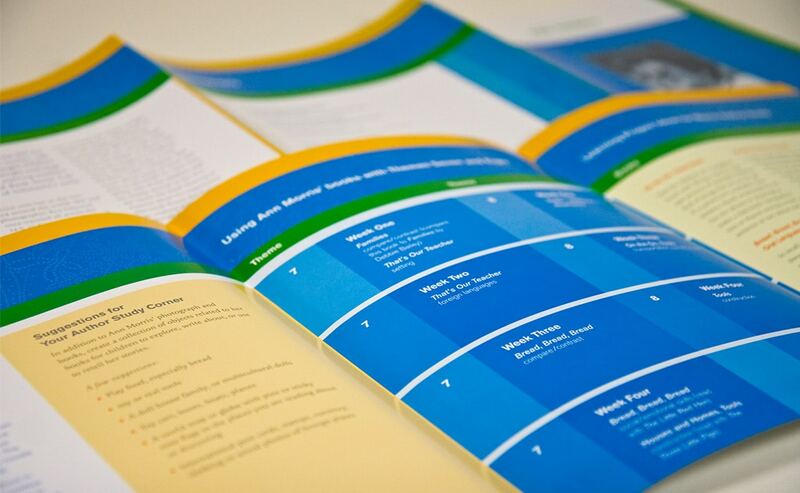 The brochures can work independently but are also consistent with the other pieces in this project. The information is designed to be easy and fun to follow. 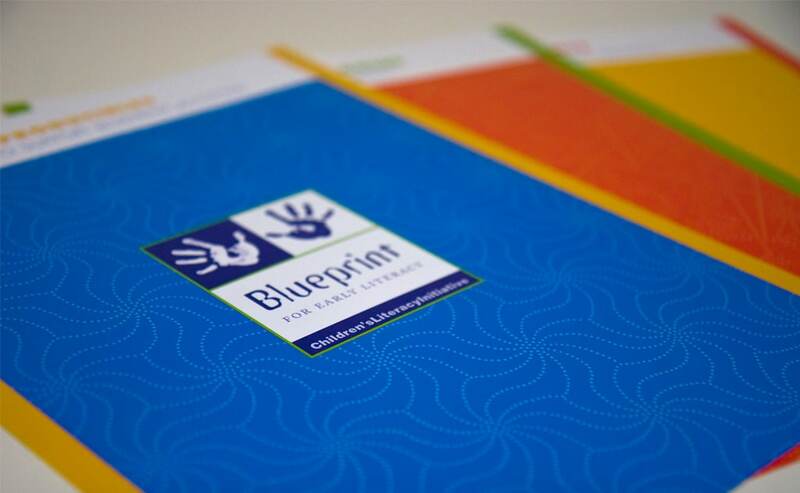 By making Blueprint more visually appealing, it continues to generate more interest at educational shows and from schools nationwide. Client: Children’s Literacy Initiative (CLI) – is a non-profit organization that provides early childhood literacy training and coaching to teachers and administrators and quality children’s books to classrooms. "21xdesign produced a product that could compete in design with any top publisher in the country. They worked with us to get it the way we wanted, and they were always accommodating and fun to work with." Learn more about our work for Children's Literacy Initiative by reading their Story here.